Your signature image should have an 11:3 aspect ratio. The signature needs to be sized to fit into the 2-3/4 inch wide by 3/4 inch tall space above the signature line on Intuit checks. Send your signature to a company that will create a truetype font of your entire signature so you can print it at any size. Sign a piece of paper and then scan and save the image to a file. QuickBooks accepts almost any image file format, including BMP, JPG, PNG, PSD, GIF and TIF. 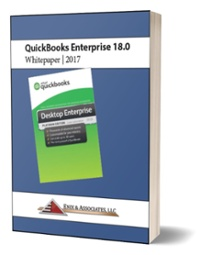 Start by opening QuickBooks in single-user mode. Open the Print Checks window. One way to do this is File > Print Forms > Checks. Select the checks you want to print. In the Print Checks window, click Signature. In the Signature window, click File. In the Open Logo File window browse to your digital signature. Note: your signature file will be copied to the same location as your QuickBooks company file. The signature file is stored by user name and company if you use QuickBooks user names and passwords. If you don't, the signature is stored under the Admin user. Note: You may select the Print Signature Image checkbox on the Settings tab. After this setting is saved, the digital signature will print on all checks you print, including paychecks. Follow the steps above but in step 3 click Logo. In the Logo window, click File. In the Open Logo File window browse to your logo. The logo will print in the upper left corner of the check. You cannot change the placement of the logo on a check. However you can have a logo printed on your QuickBooks laser-printed Voucher Checks. If you are interested in customizing a check order please call us at 352.742.0800. Intuit offers a number of check options including Secure Plus Voucher Checks with 21 security features and Secure Premier Voucher Checks with a security hologram embedded in the check.